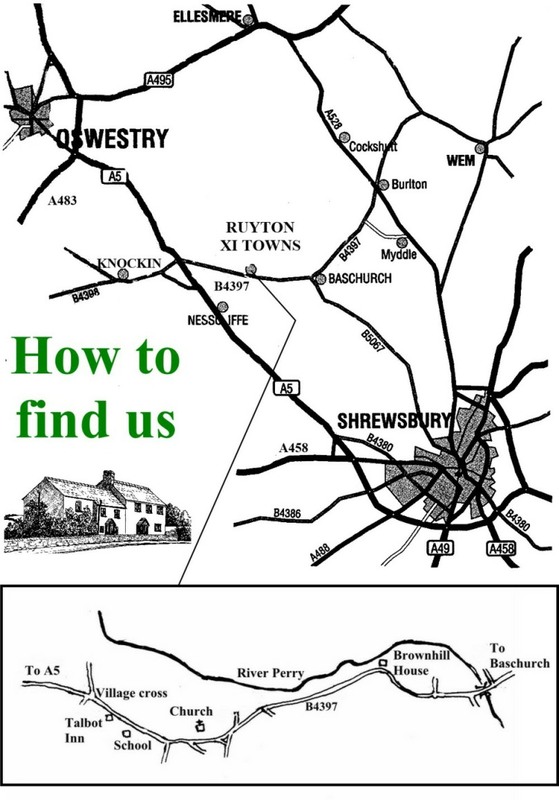 If using public transport, train or coach to Shrewsbury, bus or taxi to Ruyton XI Towns (14 km). There is a regular bus service to and from Shrewsbury and Oswestry (not Sundays). The bus stop at the Bridge is 100m away. Near Shrewsbury, SY4 1LR, England.